Global Securities Litigation and Enforcement provides a clear and exhaustive description of the national regime for the enforcement of securities legislation in cases of misrepresentation on financial markets. It covers 29 jurisdictions worldwide, some of them are important although their law is not well known. It will be an invaluable resource for academics and students of securities litigation, as well as for lawyers, policy-makers and regulators. The book also provides a comprehensive contribution debate on whether public or private enforcement is preferable in terms of development of securities markets. 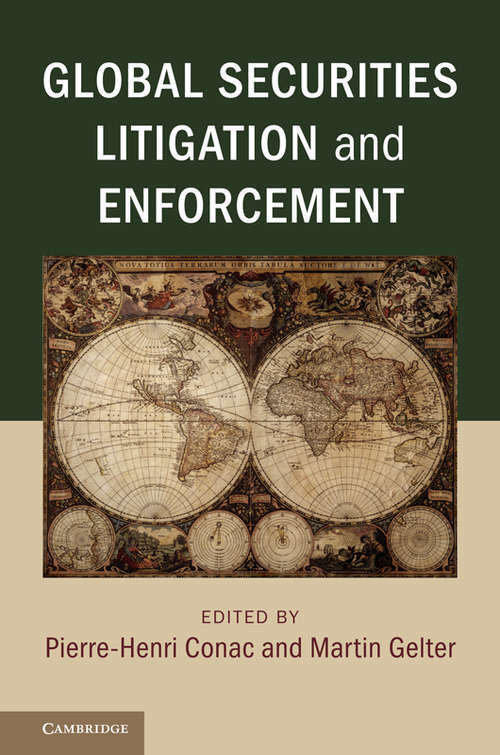 It will appeal to those interested in the legal origins theory and in comparative securities law, and shows that the classification of jurisdictions within legal families does not explain the differences in legal regimes. While US securities law often serves as a model for international convergence, some of its elements, such as securities class actions, have not been adopted worldwide.